Morrell Andrews was the Graduate Speaker on behalf of the 187 students who graduated from our undergraduate programs in the Spring of 2017. In this feature, we introduce you to Morrell and we get her take on how experiential learning during her undergraduate studies helped kick-start a career in the international arena. 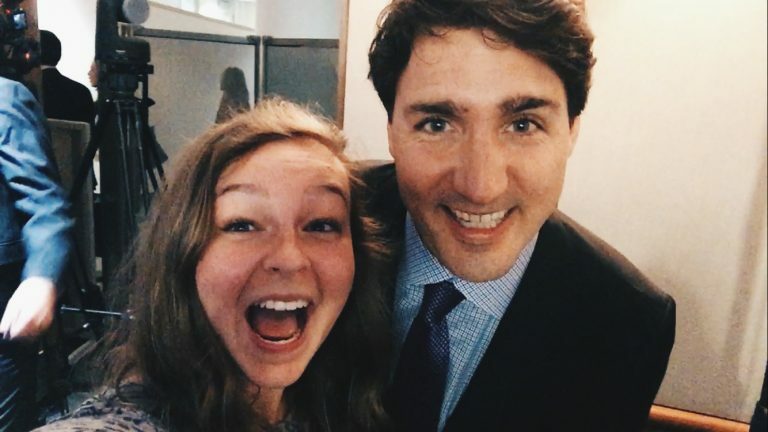 In recent months, Morrell has been a Canadian Youth Delegate at the G20 Youth Summit, played an active volunteer role at the UN Commission on the Status of Women Youth Forum in New York, and completed her BA with a major in International Relations and a minor in Political Science. 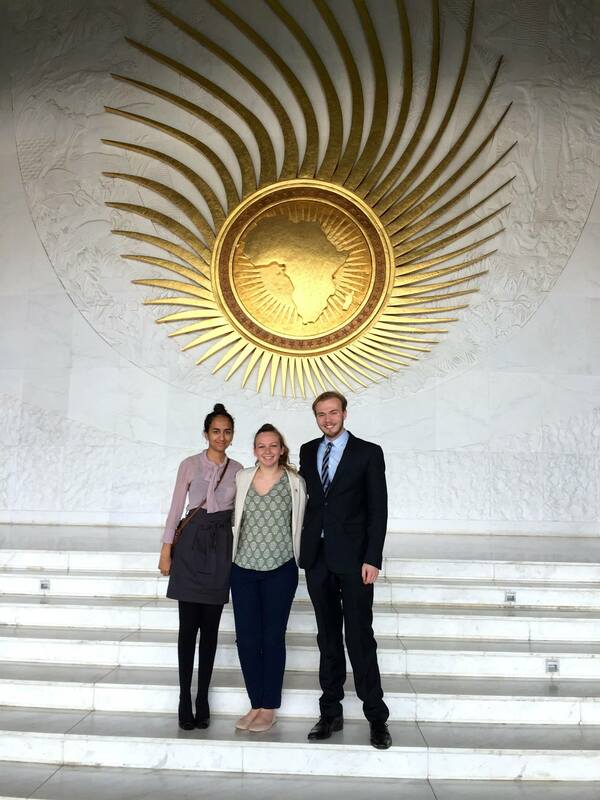 Morrell has accepted a Fellowship through the Aga Khan Foundation Canada, and later this summer she will be moving to Nairobi, Kenya to work in the Civil Society Initiatives office of the Aga Khan Development Network in Nairobi. In particular, she will be working on youth empowerment in East Africa. Morrell came to UBC in 2013 as a transfer student from the University of Guelph, where she had been pursing a Bachelors of Science in Bio-Resource Management. After her first year in Arts at UBC, she decided to focus on IR and Political Science. Morrell credits her Co-op experience with Global Affairs Canada and numerous experiential learning endeavours (including research trips to Ethiopia, Israel, and the European Union) with helping to start her career path in international relations. She also got involved on campus, in multiple volunteer, advisory, and leadership roles. Having lived in the United States, Switzerland, and Canada while growing up, Morrell was eager to learn in different contexts, and in different countries while working on her undergraduate degree. During the summers of her third and fourth years, Morrell participated in three Global Seminars which provided unique insight into field research in Ethiopia, Israel, and the European Union. Morrell also credits the Community Based Experiential Learning (CBEL) component of Allen Sen’s Canadian Foreign Policy Class with helping to expand her network and experience. As part of this class, she was able to supplement learning with practical work at the British Columbia Council for International Cooperation, allowing her to gain exposure to the United Nations Sustainable Development Goals (SDG). She attended a number of meetings at the United Nations in New York concerning the SDG, and she helped to organize a youth training on the SDG for nearly 500 youth in the Lower Mainland. 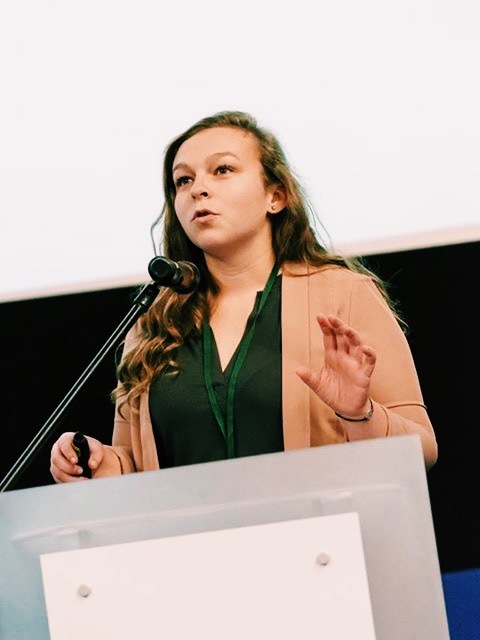 This spring, while writting term papers and completing her last semester at UBC, Morrell had the opportunity to participate in the UN Commission on the Status of Women Youth Forum in New York City. She was a volunteer who was tasked with writing speaker biographies, making a presentation deck, moderating a session, and running a day of meetings. 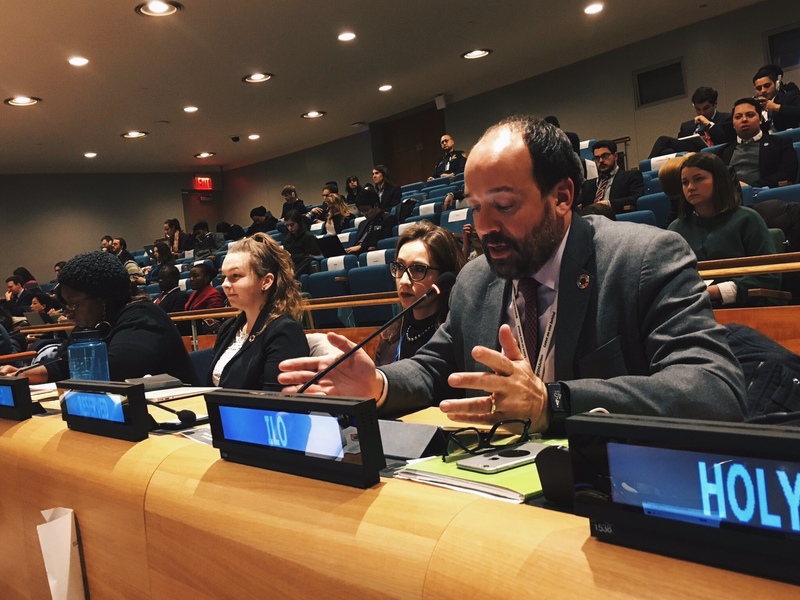 While at the Youth Summit, Morrell took part in talks, mediated between fellow delegates, and was part of the formal Working Group that wrote the recommendations that went into the final Communiqué of the Summit. 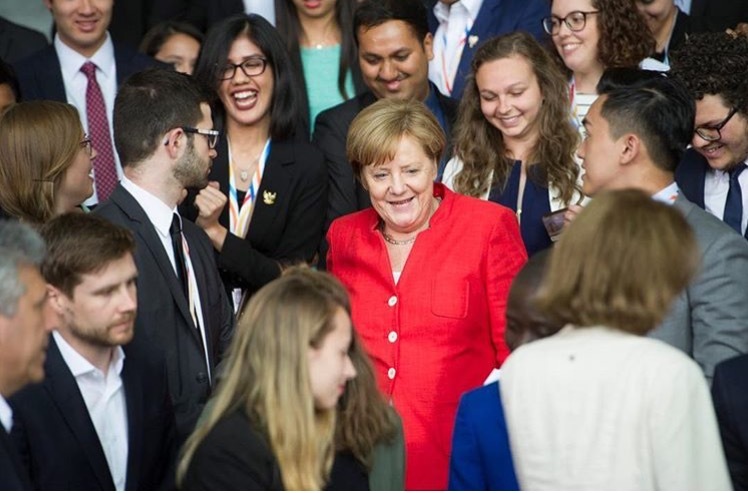 Her highlight however, was sitting across the table from German Chancellor, Angela Merkel for a 90 minute meeting. We congratulate Morrell on her recent achievements and wish her well on her continued work in the international arena. We’re excited to see what lies ahead for her, and for all members of our most recent graduating class.